Each volume in the Exegetical Summaries series works through the original text phrase by phrase. English equivalents are provided for all Hebrew and Greek words, making this an excellent reference for exegetes of all levels. Questions that occur to exegetes as they study the text are stated and then answered by summarizing the ways many scholars have interpreted the text. This information should help translators or students in making their own exegetical decisions. As a basis for discussion, a semi-literal translation of the text is given. The first question to be answered is the meaning of key words in context. Information from standard lexicons is given and then translations of the word are cited from a dozen major Bible versions and from commentaries that offer their own translations of the text. Questions about the grammar and discourse structure of the original languages are answered by summarizing the views of many commentators. When exegetical disagreements appear in the commentaries and versions, the various interpretations are listed. This book is not intended to replace the commentaries that are consulted. Rather than being a stand-alone commentary, this book summarizes many important details of exegesis that should be considered in studying the biblical text. David Abernathy is the author of three of the Exegetical Summary series-Romans 1-8, 2 Corinthians, 1 Peter, and coauthored Sermon on the Mount. He has earned a Master of Theology from Reformed Theological Seminary in 2003. He serves with SIL. He teaches Greek, Hebrew, and Biblical Exegesis at the Pan Africa Christian College in Kenya. In this addition to the critically acclaimed BECNT series, respected New Testament scholar Jeffrey Weima offers pastors, students, and teachers the most up-to-date and substantive commentary available on 1-2 Thessalonians. Weima, a Thessalonians expert, experienced teacher, and widely traveled speaker, presents well-informed evangelical scholarship at an accessible level to help readers understand the sociological, historical, and theological aspects of these letters. 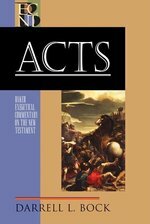 As with all BECNT volumes, this commentary features the author's detailed interaction with the Greek text, extensive research, thoughtful chapter-by-chapter exegesis, and a user-friendly design. It admirably achieves the dual aims of the series--academic sophistication with pastoral sensitivity and accessibility. Pastors and students will appreciate this new edition with its up-to-date bibliography and discussion of pertinent issues. In this full revision and update of the book of Second Corinthians, Dr. Ralph P. Martin addresses the scholarly questions about the text of the epistle and the significance of Paul's thought for Christian living and ministry. In a penetrating analysis of Paul's responses to the various crises within the Corinthian congregation, Dr. Martin gives insight into the particular problems of Christianity as expressed in the hedonistic, cosmopolitan setting of Corinth. He shows how Paul's attempt to clearly distinguish the gospel from Hellenistic Judaism and Hellenistic Jewish Christian ideology results in a moving statement of the Christian message. Rather than the "theology of glory" prevalent in Corinth, Paul articulates his theology of the Cross as a "theology of weakness," of servanthood and ministry. What was at stake at Corinth, says Dr. Martin, was "nothing less than the essence of the kerygma as in expressed in the way of the cross. . . for proclamation and daily living." New sections on the Collection and Rhetoric have been added, and the issues of Composition and Social Setting of the letter have been included, along with topics such as the Spirit, the Opponents, Paul's Theology, and the Resurrection in this epistle. The book of 2 Kings reads like tragic drama, telling the story of the closing decades of the divided monarchy in Israel and Judah-its failure, the Exile, the destruction of Jerusalem. If these are indeed God's chosen people, why has he allowed them to be so devastated? In this insightful commentary, Dr. T. R. Hobbs focuses on 2 Kings as the purposeful attempt of its author to interpret the tragedy for those people-to give them new understanding of their past and renew their hope for the future. Dr. Hobbs provides guidance in exploring several important themes emphasized by the author, among them: the prophet's role in the history of Israel and Judah, and the power of the divine word, particularly as transmitted by the prophet Elisha God's relentless insistence on faithfulness to the law of Moses (largely ignored by the people) as a condition for continuation of the Davidic covenant the dire effects of idol worship as practiced by the Canaanites and foolishly emulated by Israel and Judah inevitable doom as the fruit of disobedience, despite the occasional reforms instituted by some of the kings. 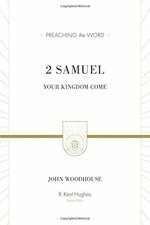 Dr. Hobbs's careful research has supplied sound reasons for acknowledging 2 Kings to be the creation of a single author, a master of literary expression whose skillfully crafted work fulfills its purpose. Particularly intriguing is the discussion on the deliberate imbalance in the author's selectivity of source materials and role models, both positive and negative; the perceptive analysis of literary techniques such as threefold repetition, word plays, and formulaic progressions; and the brief but penetrating overview of the nature of history and its relation to literary artistry. The commentary includes a welcome commonsense examination of2 Kings' complicated problems of chronology, and there is ongoing dialogue with scholars who hold to a view of double or even multiple redaction of the book. Throughout, Dr. Hobbs demonstrates the author of 2 Kings to be "faithful to the facts, to his readers, to future Israel, and to God, whose word he delivers." 2 PETER JUDE FOB OP!!!! 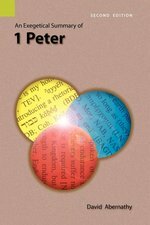 2 Peter was widely circulated throughout the early church to warn people to watch out for the false teachers that were appearing in the church, Leading to immorality and the loss of its witness. Peter was very concerned that those who say that Christ will not return should not make the church feel that Christ has abandoned them. Jude theme is similar and also points the church towards the evidence of believers who heard Jesus 'to fight on for the faith which once and for all God has given to his people'. Paul Gardner is also the author of Ephesians: Encouragement and Joy in Christ (9781845502645) and Revelation: Compassion and Protection of Christ (9781857923292) in the Focus on the Bible commentary series. BIBLE EXPOSITION COM NT V2 OSI!